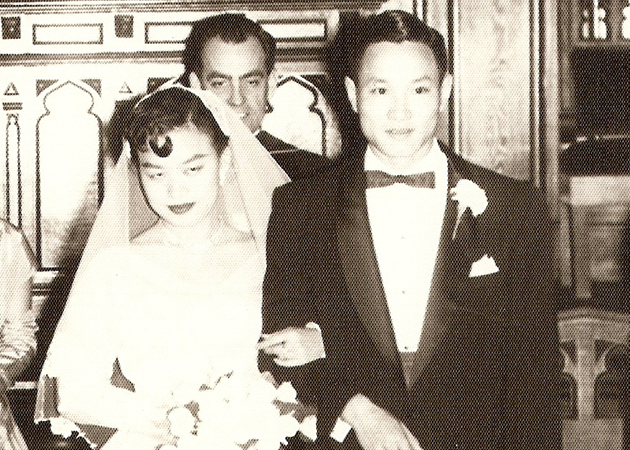 Chen Ya Liu and Siuha Anita Go on their wedding day in New York City, 1956. Their children established a professional writing scholarship in their honor. When Ohio State alumni give back, many want their contributions to reflect the values and skills they learned during their time on campus. The Liu siblings — Leo (BA, humanities, 1978), Ursula (BS, international studies, 1985) and Isabel (BA, economics, 1979) — wanted to honor their parents, the people who instilled in them high values for education. The Liu siblings established the Chen Ya and Siuha Anita Liu Fund for Professional Writing, an annual award for an undergraduate student majoring in a science, technology or engineering field and minoring in professional writing. The writing aspect is an homage to their parents’ high regard for well-written work. Chen Ya and Anita Liu met as graduate engineering students at New York University in the 1950s. Through hard work, they were both able to earn their degrees and professional qualifications, becoming pioneers in their respective fields. Through their endowment, the Lius hope to eliminate as many barriers as possible for others, opening up the possibility for professional writing education to as many students as possible. The endowment was approved by the Board of Trustees in summer 2017 and will be available to students starting in fall 2018. Halima Mohamed, a fourth-year psychology major, will be the first student to receive an award in autumn 2018. Mohamed said that the endowment will enable her to incorporate her passion for writing with her desire to improve her professional writing abilities. “I feel extremely lucky to receive the endowment. It will help me further succeed at Ohio State because it will allow me to better focus my time into my studies,” said Mohamed.